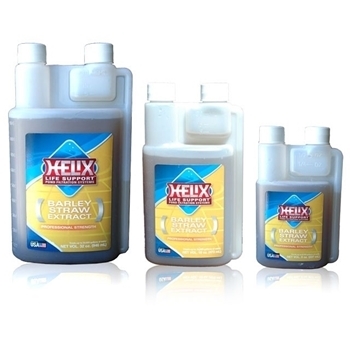 Made from all-natural organic barley straw, Helix Barley Straw Extract is a professional strength, highly-concentrated blend that is put through a stabilization process to ensure a fresh, potent product that reacts quickly to keep your pond into pristine condition. Barley Straw Extract is quicker & more effective than barley pellets or barley bales and is completely organic and fish-safe. Use 1 ounce per 1000 gallons of pond for typical use.